SCVHistory.com SC1807 | City of Santa Clarita | Groundbreaking: Permanent Fire Station 104, Golden Valley Road, 8-9-2018. [L.A County Fire Department, August 9, 2018] — Fifth District Supervisor Kathryn Barger, Fire Chief Daryl L. Osby, Mayor of Santa Clarita Laurene Weste and L.A. County Director of Public Works Mark Pestrella commemorated the construction of Fire Station 104. 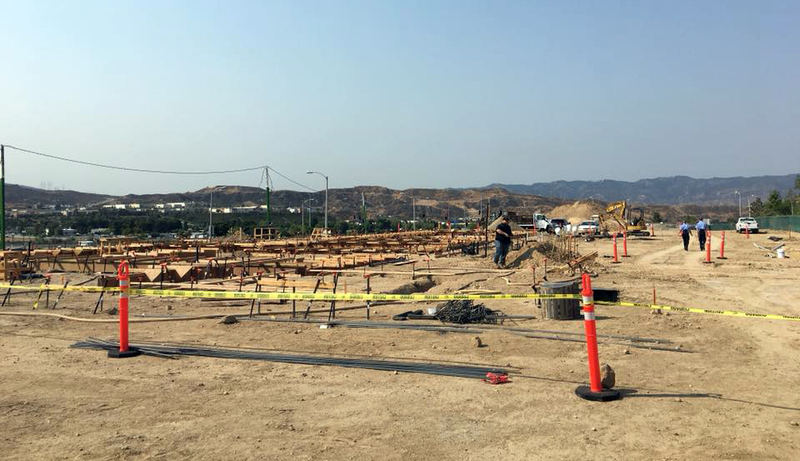 Scheduled for completion by November 2019, Fire Station 104 will serve the life safety and fire protection needs of the rapidly growing Santa Clarita community. The new station, which replaces a temporary facility, will be located where Golden Valley Road becomes Newhall Ranch Road. Photos: City of Santa Clarita; video: SCVTV. SC1807: Download original images here.